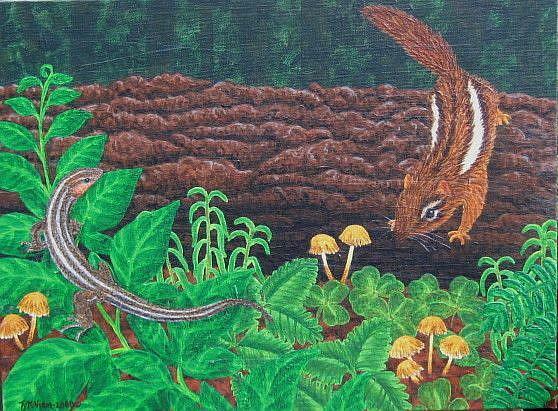 This eastern chipmunk & five-lined skink(lizard) surprise each other as they each cross a log in the forest. Neither is a danger to each other, as the rodent is a seed eater & the skink eats insects, but it's an interesting encounter anyways. The clover, nightshade vine & other plants were sketched from life.